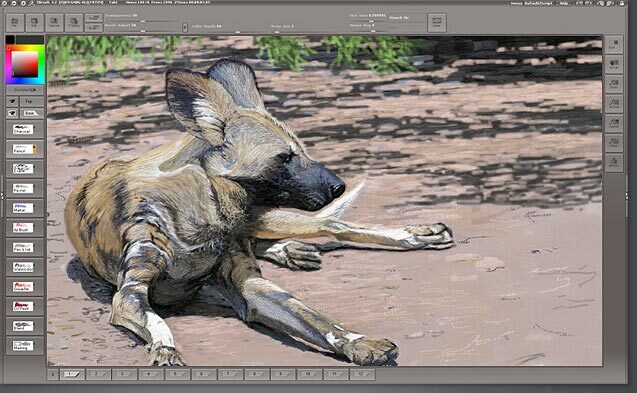 PaintStop configures your user interface and settings to give you the true-to-life feel of using real world art tools. In addition to the many brushes, pencils, and paints that are available in PaintStop, you can choose from a variety of different canvas types to change the look and feel of your final piece. The PaintStop button launches PaintStop.